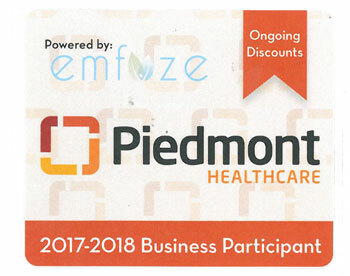 Auto Insurance | Piedmont Insurance Associates, Inc.
Piedmont Insurance, with our two convenient offices in Georgia ,(Covington, and Newnan (Glover/Piedmont) ), is committed to providing you with the most affordable and comprehensive Auto Insurance in the Georgia. While most of our personal lines clients tend to be in the Metro Atlanta area, we write throughout the Southeast. We integrate the ease of the internet with personalized attention. You won’t call our office and get a part time Customer Service representative trying to meet a call quota. We give you personal, immediate attention. Piedmont’s rich insurance experience has had us involved individual, company and community insurance needs since 1931. We are very proud of our customer orientated, knowledgeable staff that gladly assists every customer. We want to provide you with peace of mind in the knowledge that your auto is properly insured. Premium savings for the policyholder are allowed in various states for anti-theft devices, good student discounts and safe driver discounts. Some states allow discounts for members of qualified organizations or groups such as Chambers of Commerce, Board of Education (teachers), AARP, Mature drivers, NASCAR. Call us or fill out the contact form and let our skilled Professionals find all discounts available for your Auto Insurance.